Serving the greater Puyallup, WA area, Builders Service Company is a licensed, bonded, and insured window installation and replacement company that was established in 1974. Family owned and managed, we are eager to build our business associations and grow in the communities we live and work. We have lived and operated in Puyallup, WA for over 3 decades, so you can trust us to be well-aware of the local architecture, climate, and style. 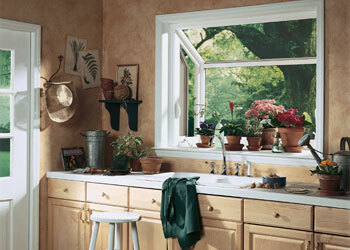 We have 38 years of industry specific experience in installing replacement windows in Puyallup area homes. One of the key issues for energy-conscious homeowners in today’s economy is selecting a top-rated window that will minimize the cost of heating and cooling their home. As a premium installer who has chosen to supply an exceptionally high-quality product, we purchase only the finest windows to improve the energy efficiency of your home. Call us today to schedule an in-house consultation to discuss the options available to you for installing new energy-efficient windows that will provide the aesthetics and energy savings needed for your home. Builders Service Company understands the impact of economy on your home improvement project and so provides economical window replacement solutions. No matter it is installing new windows or replacing the old home windows, Builders Service Company is there to help! We all know that windows have a marvelous environmental influence on your home. They just not only affect light, temperature, and ventilation but also maintain temperature of the home interior offering comfort to the occupants. Home windows contribute tremendously to the architectural identity, representing style and period. Before you opt for window installation, be sure that the style of the new windows suits your home both aesthetically and practically. Though windows come in number of styles, shapes and sizes, it is must that you be careful while selecting the right ones. Consider your budget, need, home’s style, etc. before you shell out money from your pocket. If you are looking to install replacement windows in your home, then contact Builders Service Company today. Are your windows difficult to open? Is there evidence of moisture on your panes? Are you experiencing major heating and cooling losses? It may be time for replacement. We represent the finest in vinyl window replacement because we focus on the importance of window installation. While we provide only the finest quality vinyl windows for homes in Puyallup, their performance is only as good as our installation services for energy-efficiency, excellent comfort level year-round, and security. If you are considering a home window upgrade, call us for a free in-home consultation to begin your evaluation of window styles and configurations, your budget parameters, window features that are important, a review of the many benefits of our replacement vinyl windows, and the high quality level of service provided by our experienced window installation professionals. New Vinyl Exterior Windows Save You Money On Energy Bills in Puyallup! Why Choose Builders Service Company in Puyallup? Builders Service Company helps add beauty to your home, thereby increasing energy efficiency and comfort. We have been in the replacement window business for over 38 years. As one of the fastest growing companies in the Puyallup area, Builders Service Company is one the best companies to work with. With our years of experience in window replacement and installation services for homeowners in the Puyallup area you can rely on us to handle everything from an in-home consultation to assistance in choosing styles of vinyl windows, to careful measurements and verification of window opening dimensions through the final expert window installation. We can review the benefits of high-quality vinyl windows, provide technical data relating to the construction and number of chambers as a function of window and frame strength, and prepare an analysis of window upgrades that offer the best value for your investment. Choose us as a name you can trust for high-quality vinyl windows, window replacement and expert window installation.